The Ridgeway National Trail is a great way to get to and explore the Avebury part of the WHS. Our partners The Ridgeway Partnership are pleased to announce a new-look newsletter. The newsletter can be found here. 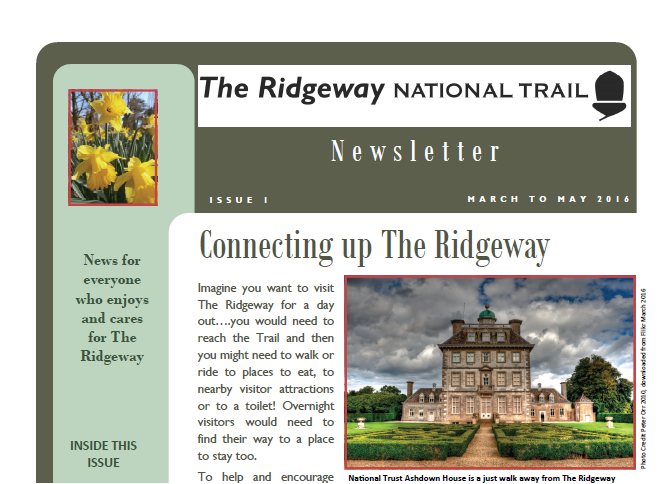 This is a newsletter for everyone who enjoys and cares for The Ridgeway National Trail. 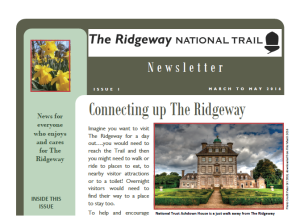 It builds upon the newsletter The Ridgeway Partnership has been producing for their volunteers. This new edition reflects The Ridgeway Partnership’s vision to engage the variety of people who have an interest in The Ridgeway, from volunteers to local residents, from local pub owners to foreign visitors. Take a peek to find out about Easter egg hunts and marathons, a major new project to identify ‘strategic links’, a new circular walk leaflet and of course the Ridgeway Partnership diary for volunteer practical tasks on the Trail.